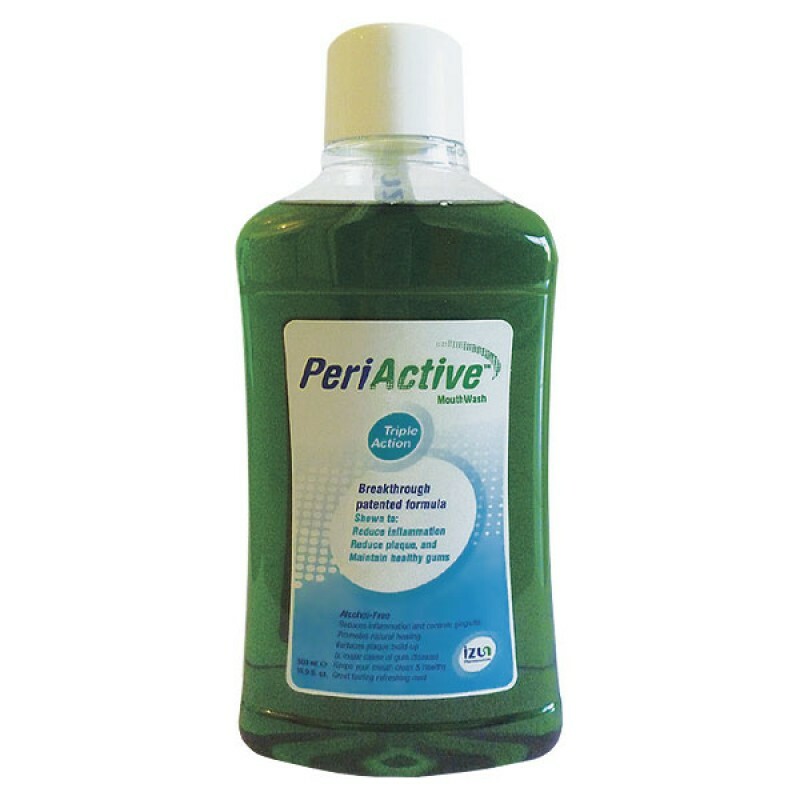 PeriActive Oral Rinse is an active homeopathic mouthwash with natural BioActives that helps reduce oral inflammation, helps reduce plaque and promotes enhanced healing. The gingivitis rinse helps reduce gingival bleeding and aids in easing discomfort caused by irritated or inflamed gums. The alcohol free rinse also helps kill bacteria associated with gingivitis and periodontitis.